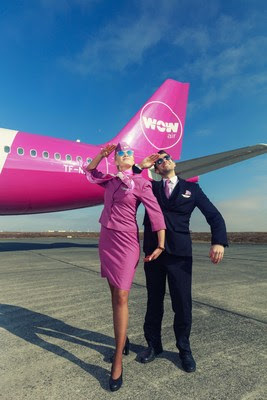 The super low low-cost long-haul Icelandic airline WOW air, is offering some super low fares for American's heading to Europe to help celebrate the carriers new New York JFK flight launching on 27th April. 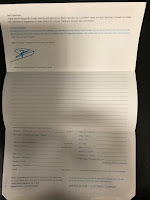 WOW says passengers can, for a limited time book flights from JFK and Newark EWR to Iceland for $99 and or $149 to fly from EWR to Amsterdam (AMS), Berlin (SXF) and Paris (CDG) and from JFK to London (STN), Paris (CDG) and Amsterdam (AMS). Tickets are on sale now and offered for flights departing April through June 2018. "We are excited by the success of our Newark Liberty International Airport partnership and are looking forward to offering New Yorkers more flight options with John F. Kennedy International Airport," said Skúli Mogensen, founder and CEO of WOW air. "As always, our goal is to make travel more affordable and accessible providing high-value to those looking to expand their horizons through travelling the world." WOW air offers the lowest fares, a modern fleet with the lowest emissions and the biggest smile; this is the WOW air promise to its valuable customers. As of spring 2018, the airline will service 38 destinations across Europe and North America including Dublin, London, Paris, Berlin, Copenhagen and Tel Aviv. Established in November 2011 by Icelandic entrepreneur Skúli Mogensen, the purple airline flies with Airbus A320, Airbus A321 and Airbus A330 models. WOW air boasts one of the world's youngest fleet, with an average aircraft age of just 2 years.